Is Cinematography the same as Photography? Cinematography is the art and technology of motion-picture photography. A Cinematographer is also know as a Director of Photography and can be shortened to DP or DOP. The differences between photography and cinematography are many. 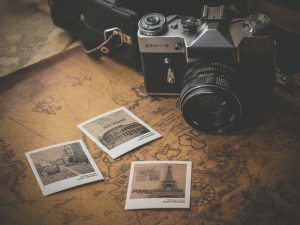 A single photograph can be a complete work in itself, where as a cinematographer has to work with the director to craft multiple shots that serve the story and keep a consistent look within the scene. 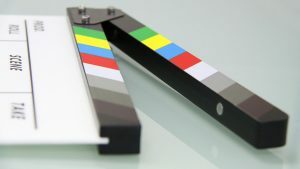 A cinematographer is the chief over the camera and light crews working on a film, television production or other live action piece and is responsible for making artistic and technical decisions related to the image. Cinematographers have to consider lighting setup, camera position and movement, focal length of lenses to ensure there is adequate coverage of the scene for the editor. They have to do all this in a way that adds to the director’s vision for the scene and the story being told within it. A photographer is usually trying to tell the entire story in a single shot or image. A Photographer needs as much technical knowhow as a cinematographer but using different kinds of technology usually strobe lights instead of continuous lighting. Typically the photographer is there to capture their ideal image and is often not beholden to anyone else’s vision, and does not have to consider shooting different angles to be used by an editor to complete the scene. Typically Cinematography is also far more collaborative than photography. The cinematographer must plan with the producer, director, designer, sound technicians and even actors. The camera crew on a large production like a feature film may be complex. The cinematographer supervises a camera operator, a camera assistant (focus-puller) and a clapper-loader, not to mention the grips, gaffer and electrics. On big-budget films there may be a second unit crew with another cinematographer and crew. Second Unit is responsible for shooting supplementary footage; this includes establishing shots, stunts, inserts, and cutaways. This crew is separate from the first unit, which is the team that films scenes with the leading cast. When a series of shots are deemed too expensive, dangerous, or time-consuming for the first unit to accomplish, the second unit team is used to capture the necessary scenes. Even though the way Cinematographers and Photographers work are worlds apart, they have the same goal to evoke emotion or reaction with their images.